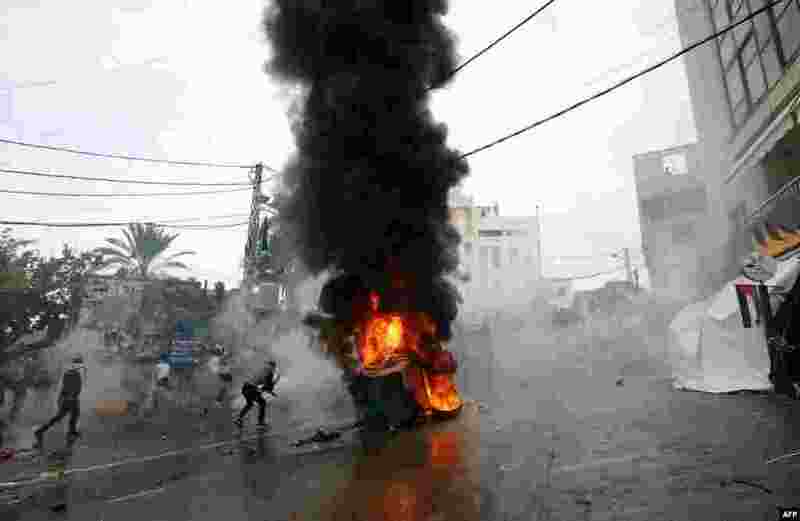 1 Lebanese security forces fire tear gas to disperse protesters during a demonstration outside the U.S. embassy in Awkar, on the outskirts of the Lebanese capital Beirut, to protest against Washington's decision to recognize Jerusalem as the capital of Israel. 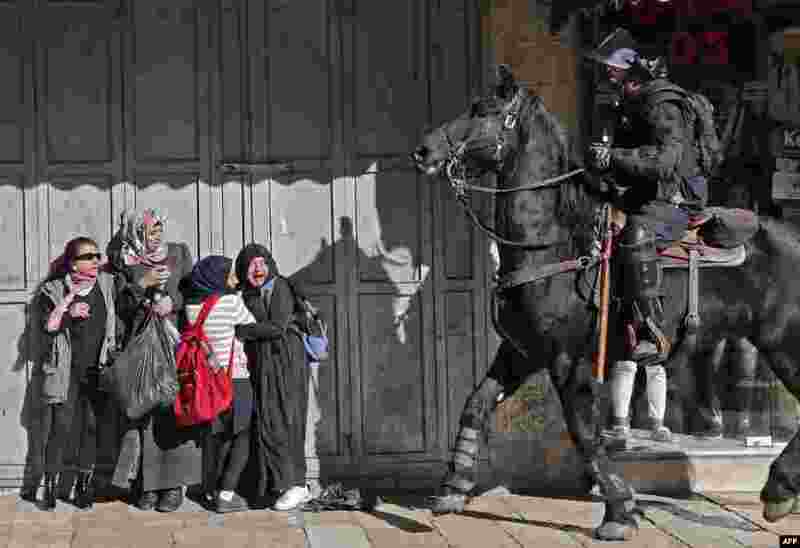 2 Women react as an Israeli mounted policeman disperses Palestinian protesters in East Jerusalem, Dec. 9, 2017. 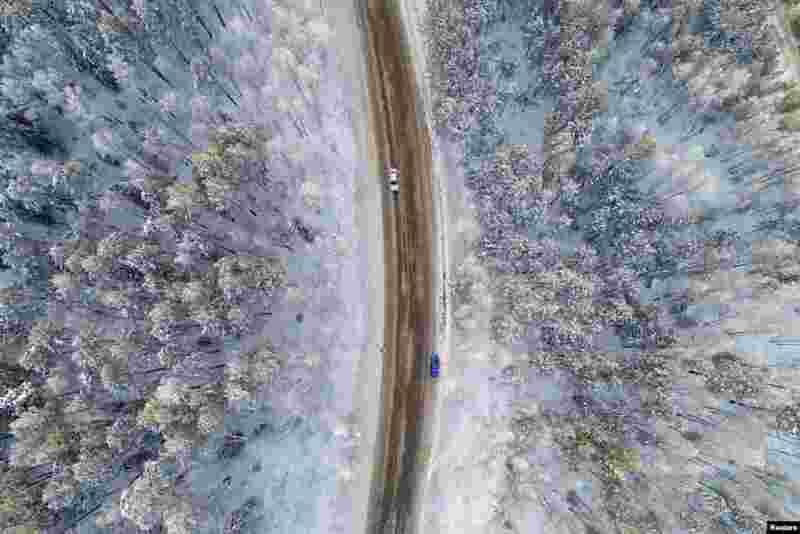 3 An aerial view shows a road on the banks of the Yenisei River, in air temperatures of about -17° C (1.4° F), outside Russia's Siberian city of Krasnoyarsk. 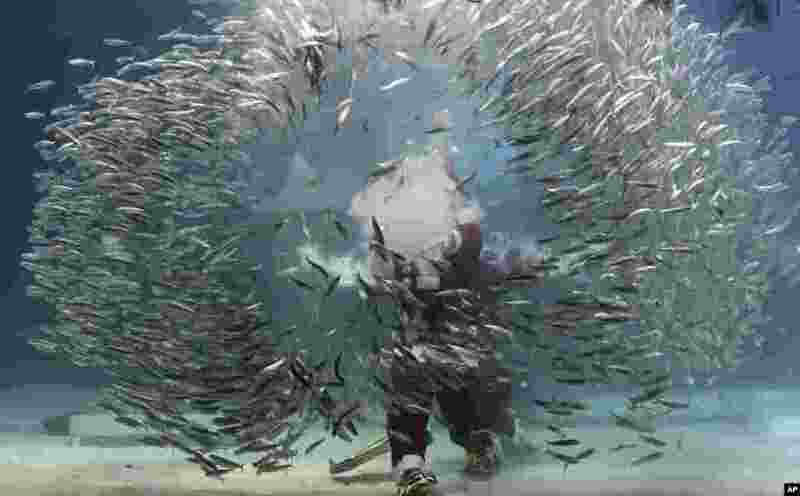 4 Dressed in a Santa Claus outfit, a diver performs with sardines to celebrate the upcoming Christmas at the Coex Aquarium in Seoul, South Korea.